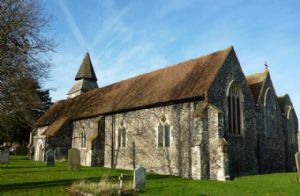 St Mary’s is at the heart of the village of Upchurch and offers both traditional and more contemporary styles of worship. There is a service in the church most Sundays, usually a communion service supported by the choir. A strong musical tradition has long been a feature of the church's worship and of the village as a whole. Upchurch is also home to Uplift, a congregation which meets in the Village Hall located behind the church. Uplift meets twice a month on the first and third Sundays. It is particularly suitable for families with children, and for any looking for a more contemporary style of worship. Uplift holds many events as well as services. You can find out more here. St. Mary's hosts the Rainbow cafe once a month as well as a popular monthly produce sale. There is a bell ringing team that welcomes both beginners and experienced ringers. The church is open during the day and has a quiet chapel space for private prayer with simple resources to help you pray. Collections for Sittingbourne Food Bank: Can you spare items of food with a valid use by date? It is donated to those who are desperately needing food to keep themselves and their families going. We have a large food box in Upchurch church. Just staple food items will be gratefully received. Sittingburne Food Bank is carefully run to ensure that only the genuinely needy receive the donations, especially those with children. Adopt-a-grave scheme: Sterling work has already been done on various graves in the burial ground and the churchyard, revealing graves which had been 'lost'. If you would like to take up your shears to help, please contact Elizabeth Shorthouse on 01634 364676. It does make a difference.